Hay fever is caused by breathing in pollen particles and by pollen getting into the eyes. You can get hay fever at any time from early spring to late summer, depending on which pollen or pollens you're allergic to. The pollens most likely to cause problems in early spring are those from trees such as the silver birch, ash, oak and London plane. Grasses pollinate during mid-summer from May to August. The most profusely pollinating grasses are timothy, rye, cocksfoot, meadow and fescue. Occasionally, in late summer and autumn, weeds such as nettles and dock as well as mugwort and plantain can trigger hay fever. The condition tends to occur in atopic allergy-prone families and usually starts in the early teens, with symptoms peaking in the 20s. * Runny or itchy nose. * Itchy or watery eyes. * Itchy throat, palate and ears. * General feeling of being unwell (hence 'fever'). * If the pollen count is very high, many will also wheeze (so-called hay 'asthma'). What's The Treatment Of Hayfever? Antihistamine tablets and nasal sprays, which if taken regularly help to relieve a runny nose, sneezing, an itchy throat and itchy, watery eyes. Anti-inflammatory nasal sprays and nose drops (usually containing steroids), which reduce inflammation in the delicate lining of the nose. These should be taken daily for the best results. Anti-allergy nasal sprays and eye drops, such as cromoglycate, which act on the linings of the nose and eyes to stop the allergen triggering a reaction. Decongestant tablets and sprays can help if the nose is blocked and stuffy, but can lead to rebound blocking. Most of these medicines are available over-the-counter, but some are only available on prescription. You may need to try different treatments or find a combination that works best for you. Steroid injections, although effective for symptom control, are discouraged owing to unwanted side effects such as osteoporosis, cataracts and skin thinning. Homeopathic and herbal treatments are less effective than conventional therapies. Some experts advocate taking local honey every day for a few months before the pollen season starts to improve symptoms, but no studies have been performed to prove this. If symptoms remain severe despite medication, you may benefit from desensitisation immunotherapy to grass pollen. This involves being given tablets or injections containing minute amounts of pollen, with the dose being increased gradually over a three-year period to induce immune tolerance and cure the allergy. Sublingual grass pollen immunotherapy for timothy grass allergy is available in the UK for people with positive skin prick tests or specific immunoglobin E (IgE) blood tests to grass pollen. However, it is expensive and needs to be used over successive hayfever seasons to become effective, so use may be limited by your local primary care trust - ask your GP for details. The injection form of immunotherapy is now only available through specialist clinics as there is a risk of anaphylactic reaction. No silver birch or tree pollen immunotherapy is currently available. Keep an eye on the pollen count (often included in weather reports) and stay inside as much as possible when it's high.Wear wrap-around sunglasses to stop pollen getting in your eyes.Saline douches or a little Vaseline applied inside the nose will reduce symptoms. Keep car windows closed and switch on the air conditioning to prevent pollen entering the car. Keep bedroom doors and windows closed in mid-morning and early evening when pollen levels peak. 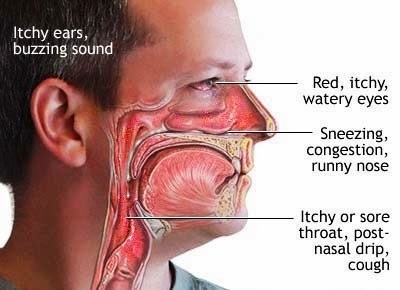 Avoid areas such as parks or fields, particularly in the early evening when there's a lot of pollen floating at nose level. Get someone else to mow the lawn and don't lie on freshly cut grass. Change into clean clothes when you come home and wash the clothes you wore outside. You may be able to find out what you're allergic to by having allergy tests. You can then take practical steps to avoid that particular pollen. Some people with hay fever develop oral allergies to certain fruits, vegetables and nuts. This is also called pollen-food or oral allergy syndrome (OAS). People with OAS typically develop hay fever in early spring and notice itching and swelling of the mouth and throat when they eat fresh fruit and vegetables. This is due to the food containing a protein similar to the allergy-provoking protein in the pollen. The hay fever usually first appears in the teens, with oral allergies developing in the 20s. It doesn't usually progress beyond oral irritation. Those who are allergic to silver birch pollen develop oral allergies to apples, peaches, cherries, carrots, celery, hazelnuts, peanuts and walnuts. People allergic to grass pollen may develop oral allergies to tomato, melon and watermelon. Mugwort pollen allergy cross-reacts with apple, celery and carrot. Ragweed pollen allergy cross-reacts with bananas, melon and honey. People don't react to cooked or canned foods because this alters the allergen, rendering it less able to provoke an allergy.